A sound national strategy for education and world-class academic institutions is needed to equip Qataris with the knowledge and skills required to compete in a global economy. Since 1995, Sheikha Moza has been guiding this effort through her leadership of Qatar Foundation for Education, Science and Community Development (QF), the World Innovation Summit for Education (WISE) and the Supreme Education Council. Today, after over twenty years, Qatar Foundation’s Education City campus in Doha stands as one of the nation’s most impressive achievements. Leading institutions have established campuses and programmes in Qatar — including Carnegie Mellon University Qatar, Weill Cornell Medical College in Qatar, Georgetown University School of Foreign Service in Qatar, Northwestern University in Qatar, Texas A&M University in Qatar, Virginia Commonwealth University Qatar, HEC Paris in Qatar and University College London Qatar. Sheikha Moza’s success in establishing internationally renowned universities in Qatar ensures Qatari and Arab youth have access to quality education, the best educators, scholars and research facilities. She envisions a generation of Qataris who will not only flourish in the global economy but who will be leaders and innovators. Qatar Foundation’s homegrown Hamad bin Khalifa University is an emerging research university offering post-graduate multi-disciplinary courses that respond to the region’s specific needs. It houses institutes and centres such as the Qatar Faculty of Islamic Studies and the Translation and Interpreting Institute, and is delivering an array of master’s and doctoral programmes. Thus, Education City today boasts world-renowned degree programmes in arts, humanities, business, computing, engineering, medicine, Islamic studies, foreign affairs, journalism and communication. Qatar Foundation is striving to make Qatar a leader in scientific and biomedical research. In that direction, its support for research, through the Qatar National Research Fund and its funding programmes, ensures that Qatar’s brightest minds — and their collaborators around the world — have the resources necessary to pursue world-class research. A centrepiece of this endeavour is Qatar Science & Technology Park, an incubation centre for technological innovation. This free-trade zone boasts advanced research laboratories and has attracted leading technology-based companies. Equally important are its dozens of research partnerships with the universities in Education City. 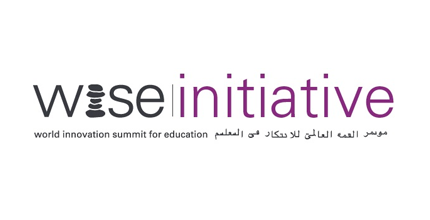 In 2009, Sheikha Moza created The World Innovation Summit for Education, known as WISE, an international, multi-sectoral summit that is a platform for creative thinking, debate and purposeful action in order to build the future of education through innovation. WISE is now an ongoing initiative and a global reference in new approaches to education. During her tenure as Vice Chair of the Supreme Education Council 2006-2012, Sheikha Moza played a vital role in supporting primary and secondary education in Qatar. She has overseen comprehensive reforms that stress high standards and accountability. With a rigorous national curriculum and regular testing to evaluate student performance, Qatari children will remain competitive with their global peers in maths, science and other subjects. These and other projects reflect Sheikha Moza’s commitment to providing Qataris with the very best educational and training opportunities. With knowledge, creativity and a passion for learning, Qataris can make a profound and positive difference in their country and around the world.